In an important pronouncement, the full bench of the High Court in Dinesh Kumar Yadav Vs. State Of U.P held that a revision petition under Section 397/401 of the Code of Criminal Procedure is maintainable against a judgment and order passed by the Court of Sessions under Section 29 of the Protection of Women from Domestic Violence Act, 2005. The Full Bench of the Court in The National Insurance Comp Ltd. Nawal Kishore Road Lko vs. Pushpa Devi, held that the Motor Accident Claims Tribunal (MACT) has the discretion to permit examination-in-chief, but cross-examination and re-examination were not permissible on affidavit. A single vacation bench of the Bombay high Court on Tuesday granted an interim stay on a ban imposed by the Ministry of Information and Broadcasting(MIB) on a TV channel for showing “objectionable content”. The ban was imposed by MIB on Care World which is a 24/7 health and wellness channel, is in accordance with Cable Television Networks (Regulation) Act. In another instance of the judiciary exercising its powers to curb mala fide litigation, a division bench of the High Court headed by Chief Justice Manjula Chellur has fined a petitioner Rs. 1 lakh. The petitioner had sought for Maharashtra Keeping and Movement of Cattle in Urban Areas (Control) Act, 1976 to be declared unconstitutional and ultra vires to Part IX-A of the Indian constitution. A division bench of Chief Justice Manjula Chellur and Justice MS Sonak of the Court refused to interfere in a decision taken by the Border Security Force to dismiss a constable from service for unauthorised absence from duty. The constable who had petitioned against the BSF’s order of dismissal had sought leave from Nov 2 to Nov 20 2011 but failed to report for duty until March 4, 2012. This was a 102 days over and above the initial leave sought, even after this, he remained absent till March 19, 2012 without applying for further leave. The Calcutta High Court in Jishu Sengupt a& Others Vs State of West Bengal & Anr, held that “sexually coloured remarks” will come within the ambit of “sexual harassment” enumerated in section 354A of the Indian Penal Code. The Delhi High Court in M/S Jet Airways (India) Ltd. vs. M/S Dhanuka Laboratories Ltd., asserted that notable corporations must not only be responsible litigants, but must also ensure that there is no frivolous litigation, especially when as a carrier of goods, the goods are lost by the appellant through its agent carrier to whom the goods were handed over. The first bench of the High Court disposed of a PIL preferred by Ashwini Upadhyay seeking the establishment of Indian Judicial Services on the lines of Indian Administrative Service. The Court in Anu Seth vs. Sunil Seth upheld the order of the Family Court that granted divorce to the husband on the ground of the wife’s cruel behaviour towards him ever since their honeymoon. The wife had approached the high court challenging the order. The Court quashed an order passed by the Central Information Commissioner and stated that while reversing orders of lower authorities, the CIC must record appropriate reasons for the decision. A division bench of the Kerala High Court held that a gift deed made by a senior citizen can be revoked for not providing the basic amenities even if there is no specific clause in the transfer deed to provide for the senior citizen’s welfare. Expressing surprise at the vigour in which the Indian Railways pursued the case against a disabled employee, a Division Bench of the High Court upheld an order of Central Administrative Tribunal wherein it held that a disabled employee of Indian Railways, need not report to office to receive her salary and directed the Railways to explore the possibility of ‘voluntarily’ retiring the employee with all service benefits. The Madhya Pradesh High Court in Kamlesh Diwakar vs. State of MP, rejected an application filed under Section 311 of CrPC by the complainant to substitute the witness. A division bench of Madras High Court upheld an order of a single bench that had issued a direction to YouTube and Google to furnish the correct IP address along with the name of the person who uploaded an allegedly ‘defamatory’ video in YouTube. The High Court pulled up litigants for negligence in follow-up of their case and said they cannot blame their lawyers for not keeping them abreast with case developments as they themselves need to adopt a more vigilant attitude. 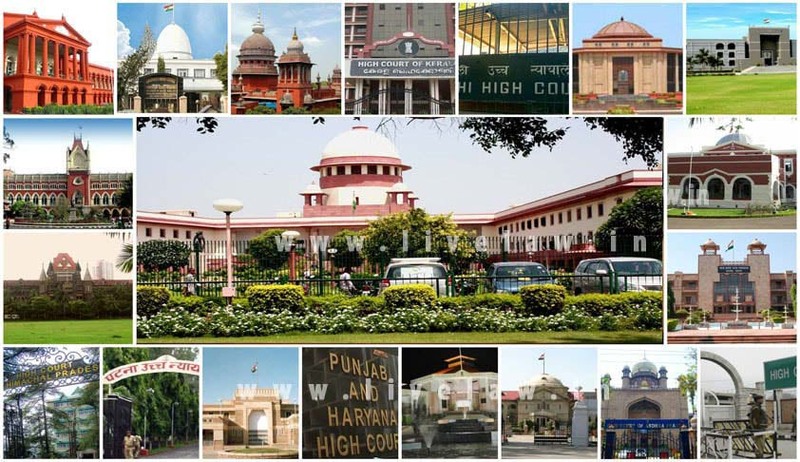 The Punjab and Haryana High Court slammed the state while observing that in a large number of cases, orders passed by the writ court are not being complied with within the stipulated time frame. The court also warned that exemplary costs would be deducted from the salary of erring officials. The High Court held that a woman cannot claim as a matter of right to occupy any part of a self-acquired property of her husband’s parents against their wishes.